Holy Family Parish, 2729 Center Road, Poland, will host a fish fry from 1 to 7 p.m., Ash Wednesday, or until sold out. Menu includes fried fish, macaroni and cheese, sauteed green beans, coleslaw, rolls and butter and dessert. Cost is $10 for adults and $5 for children under age 10. Eat in or takeout. Pasta fagioli for $6 per quart and marinara pasta sauce for $5 per quart also are available. 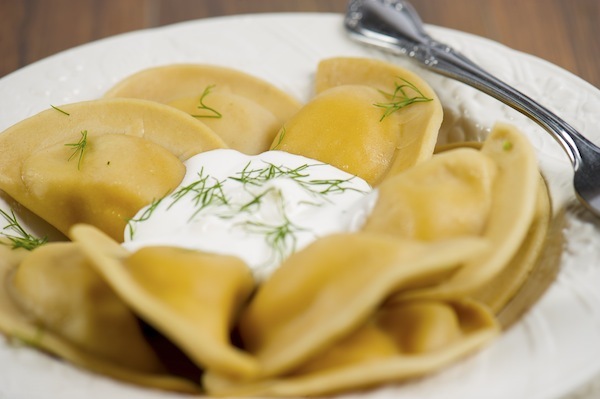 Holy Trinity Ukrainian Catholic Church Hall, 526 W. Rayen Ave., will take orders for fresh potato and potato with kraut pirogi for $6 per dozen. No containers are necessary. Orders should be placed from 9 to 11 a.m. or until sold out Thursday and at 10:30 a.m. Friday, if available, by calling 330-746-9528. Pickup will be from 11 a.m. and 1 p.m. Friday. Lunches also will be served from 11 a.m. to 1 p.m. Friday. Smith Corners United Methodist Church, 3000 S. Canfield Niles Road, Austintown, will host Supper at the Corner from 4:30 to 6 p.m. The supper is free to the community. Donations will be accepted to continue this program. Woodworth Church of the Brethren, 30 E. Western Reserve Road, will host a beef tips and noodles takeout dinner from 2:30 to 6 p.m. or until sold out. Menu consists of angus beef tips, homestyle noodles, mixed vegetables, roll with butter and homemade cookie. Cost is $8 per dinner. Call the church at 330-758-3143 or Janet at 330-501-2104. Drive up to the back door, place your order, and it will be brought to your car. American Legion Post 737, 16465 Milton Ave., Lake Milton, will host a dinner from 3 to 7 p.m. The meals feature a choice of haddock, chicken or shrimp with fries, coleslaw and a roll for $10. Pirogi are $4.50 and a child’s dinner, $5. Meals are carryout or eat-in. Beverages will be available. Call 330-654-5630. Beaver Creek Sportsman Club, 14480 Washingtonville Road, will offer beer-battered haddock fish or shrimp dinners from 4 to 7 p.m. weekly until March 30. The cost for adults is $11 and $6 for children age 10 and under. Dinners include fresh-cut fries, coleslaw and choice of green beans or corn. An extra fillet (with dinner purchase) is $5, and shrimp a la carte (approximately 16 pieces) is $6. Soda, water, coffee and dessert will be available for $1. Canfield Lions Club will have a fish fry from 4:30 to 7:30 p.m. at A La Cart Catering, 429 Lisbon St., Canfield. Meals include a choice of baked or fried fish, french fries, macaroni and cheese, pirogi or haluski and coleslaw, green beans, roll, dessert and beverage. The cost is $11 and will be takeout only this week. Fraternal Order of Eagles, 1655 S. Raccoon Road, Austintown, will have a fish fry from 4 to 8 p.m. The meal includes baked or fried fish, rolls, coffee and tea, vegetable, salad or coleslaw and a choice of macaroni and cheese, pirogi or baked potato. Takeouts are available. The cost is $12 for adults and free for children 6 and under. Girard K of C Council 2935 will host Lenten fish dinners at the K of C Hall, 122 S. State St, Girard from 4 to 7 p.m. weekly until March 23. Proceeds will benefit the K of C charities. Cost is $9 for adults and $4.50 for children age 4 to 12. Children under 4 eat free. Menu includes baked or fried fish, french fries, macaroni and cheese or haluski, coleslaw, bread, coffee and cake. Soda and water are $1. Carryout is available by calling 330-545-3432. Kent Elks Lodge 1377, 2265 Erie St., Ravenna, will host a Polish buffet every Friday from 5 to 9 p.m. until March 30. All-you-can-eat menu includes three varieties of homemade pirogi, cabbage and noodles, potato pancakes, kielbasa and sauerkraut, salad bar and more. Cost is $12 for adults and $6 for children age 12 and younger. There will be a cash bar. Take-out menu available. St. Brendan Church, Maxwell Hall, 144 N. Schenley Ave., will host takeout-only lunches from 11 a.m. to 1 p.m. Fridays through March 23. Lunches include a choice of a dinner for $11 or a fish sandwich and one side for $7. Fish dinners for dine-in or carryout will be served from 4 to 7 p.m. and include baked, fried, Cajun or beer-battered fish plus one side of french fries, macaroni and cheese, haluski or roasted potatoes. Dinners also include coleslaw or applesauce and bread, butter and dessert. Dinners for adults are $11 and are $6 for children. For information, call 330-799-3683. St. Lucy Church, 394 Tenney Ave., Campbell, is taking orders for pasta fagioli from 7 to 10 a.m. today. Cost is $5 per quart. Take your own containers. Pizza at $9 for a sheet, and bread at $2 per loaf will also be available. To place an order, call the church at 330-755-2245, Lucy at 330-755-3617 or Liana at 330-755-5438. Pickup will take place from noon to 2 p.m. Friday. St. Maron Church, 1555 S. Meridian Road, Youngstown, will host a fish fry from 3 to 7 p.m. . Most dinners, including jumbo haddock, are $10. Tuna is $13. Dinners come with one side, coleslaw, roll and dessert. Sides include pirogis, French fries, macaroni and cheese, and majadra (lentils, rice and caramelized onions). Call 330-792-2371 for information. St. Paul the Apostle Church, 10143 Main St. New Middletown, will have a pirogi sale. The cost is $6 per dozen. Potato, cabbage and cottage cheese varieties are available. Phone orders will be taken Thursday and Friday from 8 to 11 a.m. Call 330-542-3525 to order. Pick up Friday from noon to 3 p.m.
St. Thomas the Apostle Church, 4453 Warren-Sharon Road, Vienna, will host Lenten fish dinners from 3:30 to 7 p.m. Takeouts begin at 3 p.m. Cost is $10 for adults, $5 for children age 5 to 12 and children under age 4 eat for free. Menu includes baked or fried white fish, parsley potatoes, pirogi, homemade coleslaw, applesauce, bread, beverage and a dessert. Takeout-only lunches also will be available for $5 from 11a.m. to 1 p.m., consisting of a fish sandwich and a bag of chips. East Rochester United Methodist Church, 24754 state Route 30, East Rochester, will host a Swiss steak dinner from 4 to 7:30 p.m. Dinner includes mashed potatoes and gravy, homestyle noodles, green beans, applesauce, coleslaw, rolls, pies and desserts and beverages. Cost is $10 for adults and $5 for children age 10 and under. Donations are encouraged and will benefit church programs and missions. Dine in and pick up available or call 330-894-2515 to place an order. Fowler Fire Department will host its monthly pancake, sausage and egg breakfast from 7:30 a.m. to 1 p.m. at the fire station, state Route 193. Cost is $6 for seniors, $7 for adults, $5 for children, and preschool children eat for free. Kinsman Presbyterian Church, 6383 Church St. (across from the library), will host a roast beef dinner from noon to 2 p.m. The dinner is sponsored by the Men’s Organization with proceeds to benefit mission projects. Tickets will be sold at the door and are $8 for adults and $4 for children under 12. For information, call 330-876-4485. Southington American Legion Post, 3145 Warren-Burton Road, will host an all-you-can-eat pancake breakfast from 8:30 a.m. to 12:30 p.m. Menu includes sausage, french toast and sausage or biscuits and gravy. VFW Post 2799 Auxiliary, 3161 E. South Range Road, New Springfield, will offer a homestyle breakfast from 8 a.m. to noon. Cost is $6 for adults and $3.50 for children under 12. Menu includes eggs, hash browns, sausage or ham, pancakes or freedom toast, toast, coffee and tea. Youngstown Saxon Club, 710 S. Meridian Road, will host its pork and sauerkraut dinner from 11:30 a.m. to 2:30 p.m. Cost is $9.50 for adults and $5 for children. Dinner includes dessert and coffee, tea or pop. The public is welcome and takeouts will be available. Culture Group of Youngstown Saxon Club is taking orders for sausage through March 14. Flavors are Saxon garlic (only through them), hot and mild. Packages are available in 3-pound and 5-pound links and 5-pounds in bulk. Cost is $3.50 per pound. Pickup will take place from 9 a.m. to 2 p.m. March 17 at the Saxon Club, 710 S. Meridian Road. Sausage sandwiches will be available for purchase and beer is free. There also will be polka music beginning at 11:30. To order, call Bill at 330-718-0496 or Joanne 330-550-3777. First Presbyterian Church of Girard, 890 Churchill-Hubbard Road, will sell chili, chicken noodle soup, stuffed pepper soup, homemade pepperoni rolls, fresh-baked bread and homemade sticky buns. Soup is $5 per quart and $3 per pint. Pepperoni rolls are $8 for a large and $2.50 for a single. Bread is $2 for a large loaf and $1.50 for a small loaf. Sticky buns are four for $2.50. Orders must be placed by calling 330-759-1460. Deadline for orders is today. After deadline, items will be only as available. Pickup will take place at the church from 3 to 4:30 p.m. Saturday . St. Lucy Cultural Society is taking orders for traditional Italian Easter bread until March 14. Cost for a two-pound loaf is $10 and can be ordered by calling Lucy at 330-755-3617 or Liana at 330-755-5438. Pickup will take place from 1 to 3 p.m. March 23 at the Palermo Center. All are asked to enter through the front door. Pre-orders only. St. Patrick Church, 167 Main St., Leetonia, is hosting a pirogi sale featuring potato and cheese; potato, cheese and jalapeno; potato, cheese and bacon; or kraut pirogis for $6 for a baker’s dozen. Pick-up will be noon to 3 p.m. Wednesdays and Fridays or 11 to 11:30 a.m. Sundays after Mass, beginning today through March 25. To order, call Suzanne at 260-458-7147. Aut Mori Grotto will host its monthly AYCE pancake and sausage breakfast from 9 a.m. to noon Feb. 24 at the Grotto Hall, 563 N. Belle Vista Ave. Menu will include all-you-can-eat pancakes only, link sausage, scrambled eggs, sausage gravy and biscuits, potatoes, coffee and juice. Cost is $6 for adults, $3 for children under 12 and children under 3 eat for free. Proceeds benefit Grotto charities and building fund. For information, call Pudge Craig at 330-720-2660. Carry outs are available and the facility is handicap accessible. Central Christian Church, 218 Meadowbrook Road, Hermitage, Pa., will host a free community breakfast from 9 to 11 a.m. Feb. 24. Menu includes french toast, sausages, hash browns, eggs, breads, pastries, coffee and juice. For information, call the church office at 724-347-1703. Christ Our Savior Parish, Holy Trinity Church, 250 N. Bridge St., Struthers, will host a stuffed cabbage dinner from noon to 4 p.m. March 11. Dinner includes cabbage rolls, mashed potatoes, green beans, salad, roll and butter, dessert and drinks. Cost is $10 for adults and $5 for children. Takeout is available. Patrons should take their own containers. St. John the Baptist Cultural Society will host a stuffed cabbage dinner and basket raffle from 11 a.m. to 4 p.m. March, 11, at 159 Reed Ave., Campbell. Cost is $10 for adults and $5 for children. Takeout orders available and containers will be provided. Tickets can be purchased from society members or by calling Mariann at 330-755-1979. Tickets also will be available at the door. Stacks for Soroka pancake breakfast will take place at 9 a.m. March 4 at St. Joseph the Provider Church Hall, 633 Porter Ave. in Campbell. Tickets are $6 for adults and $3 children under 10. Menu includes pancakes, sausage and beverages. There also will be a 50-50 raffle and bake sale. Tickets will be sold at the door. March 22, 2017 8:58 a.m.